The Wobbly Cheesecake That's Got Sydney Going Mad! Japanese Cheesecake isn't like the normal cheesecake we've grown to love. To start of it's baked instead of chilled and the consistency is completely different. It's not thick and dense...it's light and fluffy...wobbly even! This in our eyes makes it the perfect dessert for any occasion. Maybe your stuffed after a big meal but don't want to imagine a world where you would skip out on dessert....No need to fret, this light and delicious cake is guaranteed to satisfy without making you feel ill afterwords. 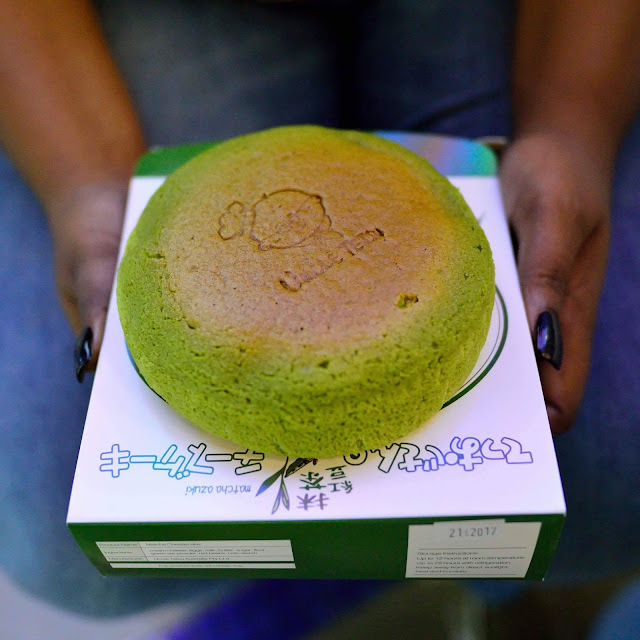 So far the only place we've found in Australia serving up this magnificent cake is Uncle Tetsu in Sydney. There you will find a variety of cheesecake flavours (like the beloved Matcha!) along with other droolworthy sweets. *AmeriAus paid for this meal. Words by Chelsea Hawkins. Follow her on Instagram.